Regular or special? Dine-in or take out? 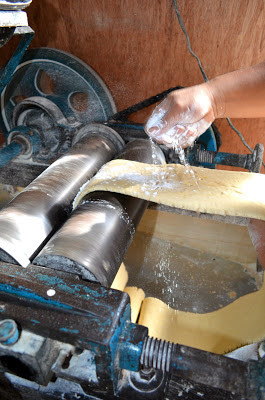 Susan's or El Batangueno's? 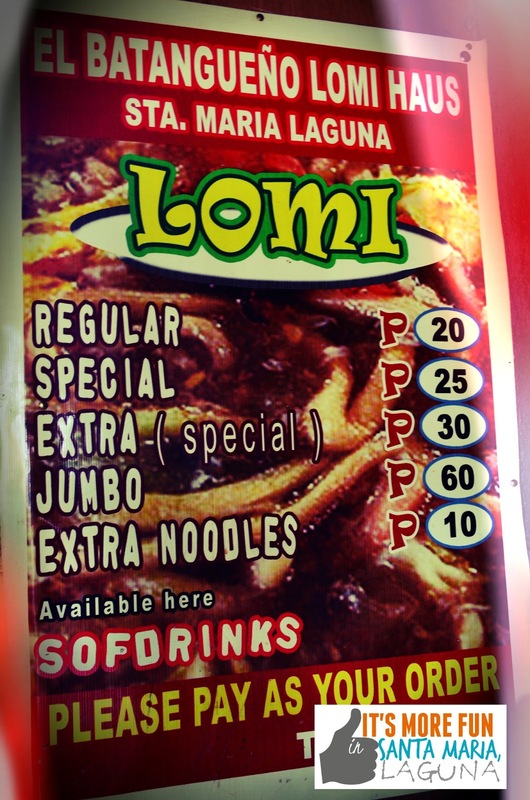 What lures many to avail lomi? What's so special about it? Originally from Batangas, this cuisine has become the people's pick. 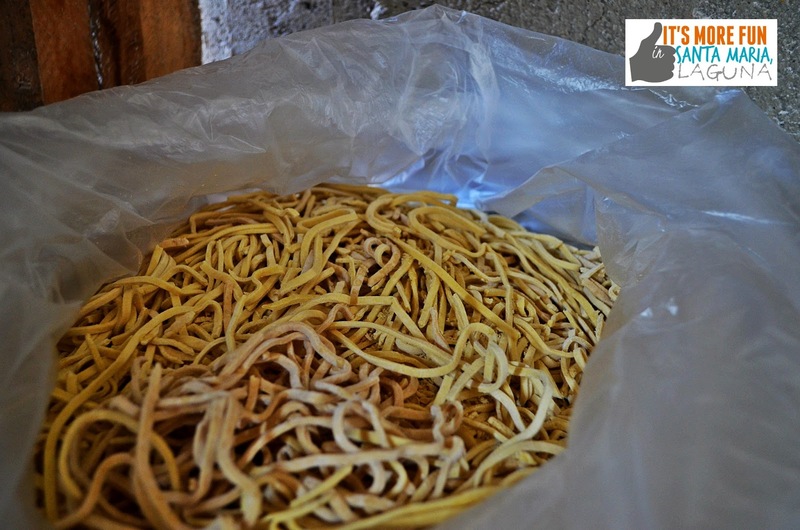 The sticky soup, freshly-made noodles and tasty toppings (atay, kikiam and pork) make it a sought-after meal even by our kababayans who work overseas. 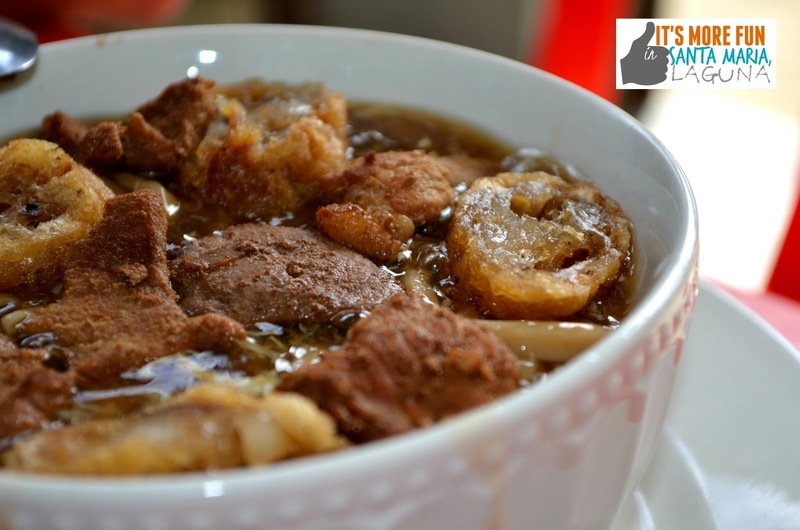 Currently, we have 7+ lomi restaurants. We have Susan's Lomi Haus (Brgy. 4) and El Batangueno 1&2 (Brgy.4 & Coralan), Azon's and the lomi house near the town plaza. 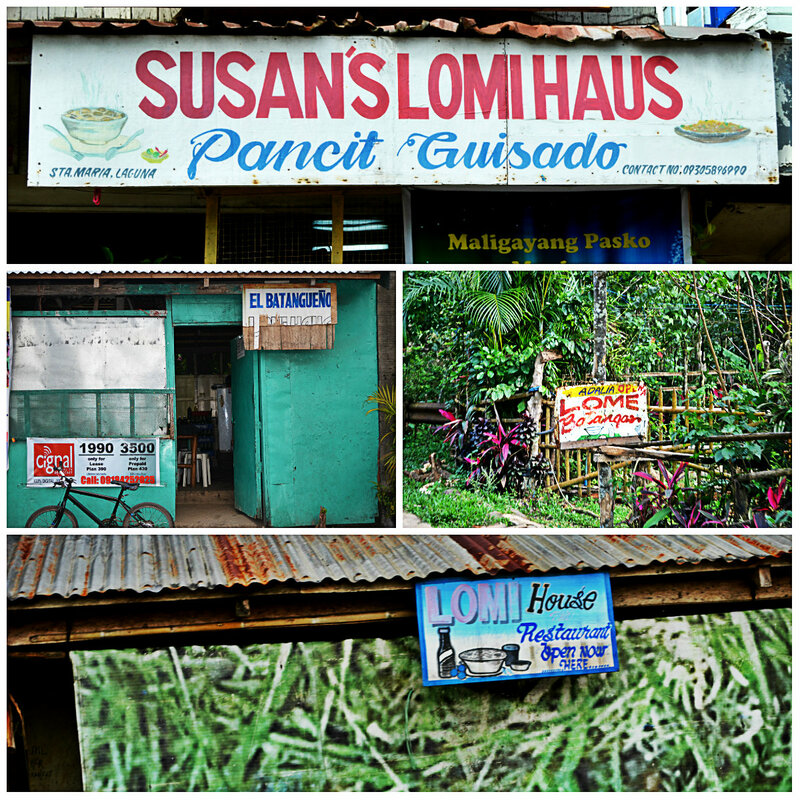 Surprisingly, there are lomi houses in Parang and Saksak. The number of customers who visit these stores vary from day to day. Usually, these establishments, which open at sunrise and close at late afternoon, get crowded during Sundays due to tiannge. Bottom: Restaurant at J. Santiago. Price Range. I'll go for the Regular. This food is best eaten when hot. 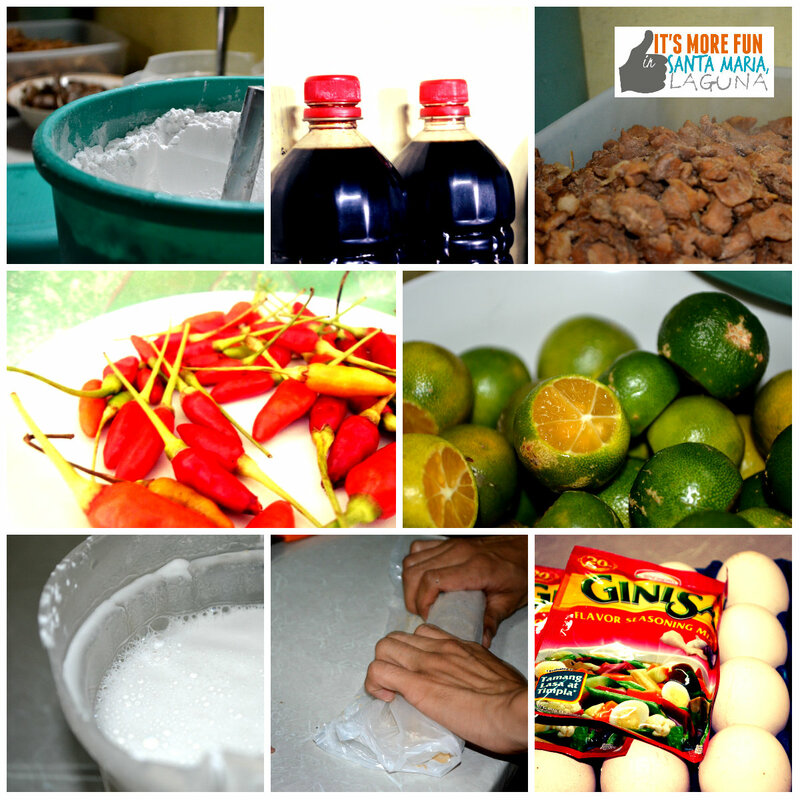 Soy sauce, calamansi and red hot chili pepper complete this tasty treat. Terrific food at an amazingly low price. turns into long, tender strip. Voila! 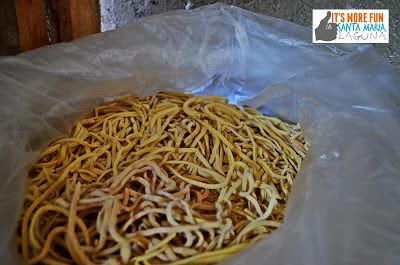 We have our pansit! 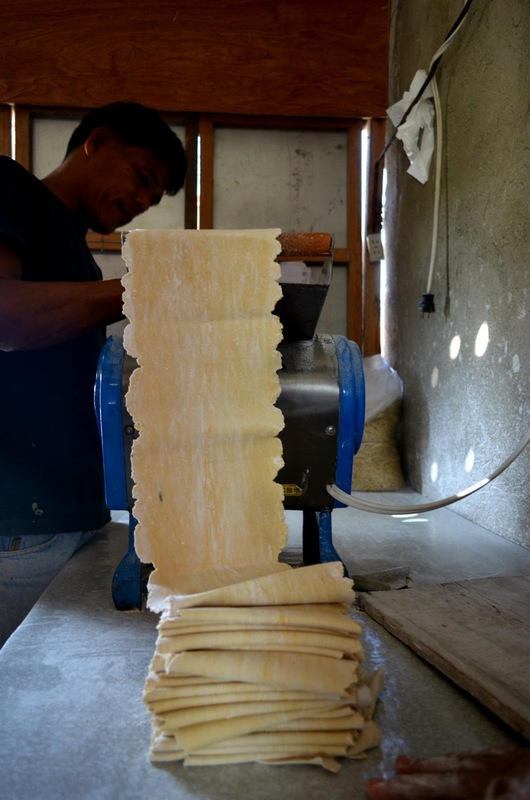 The last step: packing and distributing them to lomi houses nearby. Days after, I visited her restaurant. Having arrived a bit late, I caught a cook in the kitchen. He is done with the meat. Yet he had been eager to show me how he prepared the other main ingredients used in this dish. 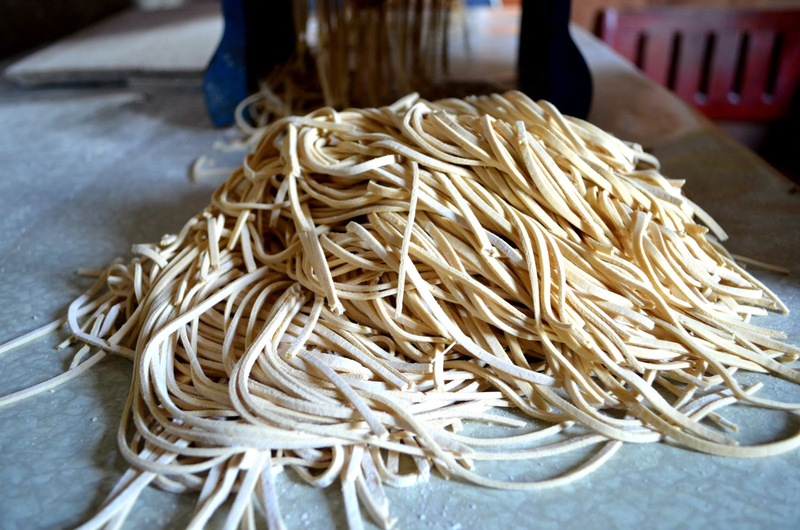 They include noodles, broth and meat toppings which are separately prepared. Outside the store, the people roamed here and there, preparing for a day's work. I realized that it's great to be in the market area during early morning for you'll have the glimpse on how hardworking our townspeople are. from the lomi house. (3) Early bird catches the worm! (1) Market sight during early mornings. (2) A perfect meal before a day's work. (3) Lomi shop beside EB. know how the restaurant started and how he runs it.